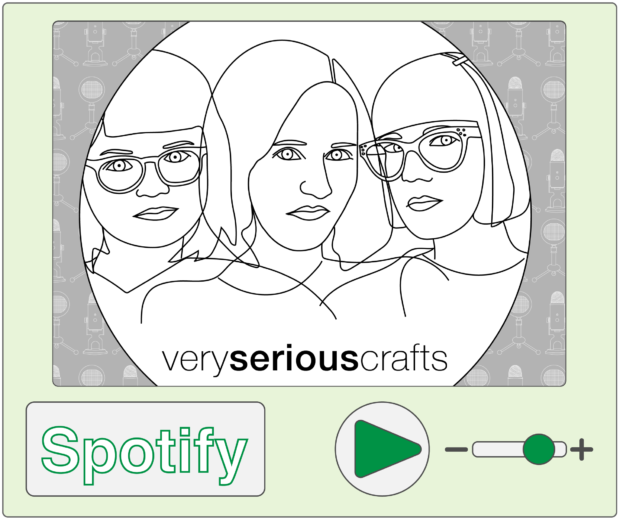 You can subscribe and listen to the Very Serious Crafts Podcast on most major podcast apps and streaming services, and we’ve provided direct links to many of them below. (Huzzah!) But, if your preferred purveyor of podcasts happens to be missing from our list, you can always add us directly to most podcast apps via our RSS feed (also linked below), or you can visit the episodes page to listen to the show right here on the Very Serious Crafts website! Listening somewhere else? Add us directly to your podcast player! If we’re missing your favorite podcast distribution service, drop us a comment below to request an additional platform!